GAMEHOLE CON is nearly here, and with it comes DORKSTOCK 2017 – a teeny tiny little division of the show! 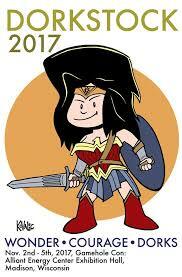 Thanks also need to go out to Alex Aulisi (Dork Storm Press’s Business Manager), John “Shadowcat” Ickes, Frances Moritz and David Michael, who’ve been helping across the board with logistics and more. As per usual, Gamehole Con will feature a plushie I’ve designed, based on a classic roleplaying monster. This year it’s Chesty the Mimic. All proceeds will go to charity, and I’m happy to say this year that charity is the FairShare CSA Coalition – the organizers of Bike the Barns (you know: me cycling huge distances with a duck on my head). 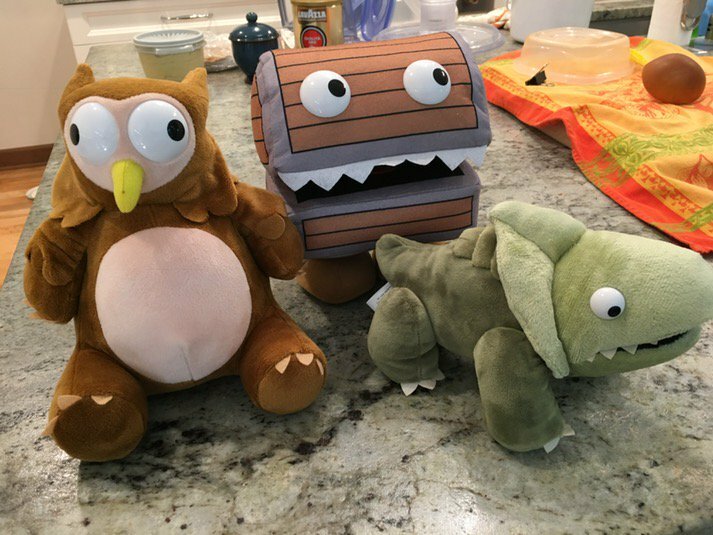 Chesty joins previous Gamehole Con plushies Derpy Owlbear (2015) and Bully Bullette (2016). I believe this now officially makes it a menagerie. (As per usual, if there are any left over, I’ll post details on how you can get them). This year also marks the return of the Great Igor Bar Bake Off! MAIN POINT BEING, here’s the full Dorkstock track of Gamehole con events! If you get a chance, stop by! We don’t bite.